Amazing as it is to be nostalgic for all those great 60s and 70s pop classics, here we are. 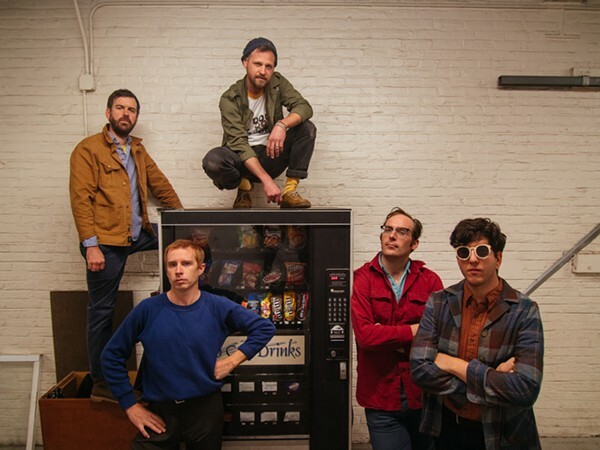 There’s a band, Dr. Dog, whose sound directly echoes out that era but never becomes boring. It’s a bit strange that Dr. Dog, a Philadelphia-based psychedelic rock act who have been at it since 2002, have never passed through this site. The band, which is led by basist Toby Leaman, is tributary to The Beatles, Bob Dylan and The Beach Boys while adding a filter of neo-psych pop along the way. Although Dr. Dog is heavily backed by influences from the 60s and 70s they did manage to bring in their own twist to the music. 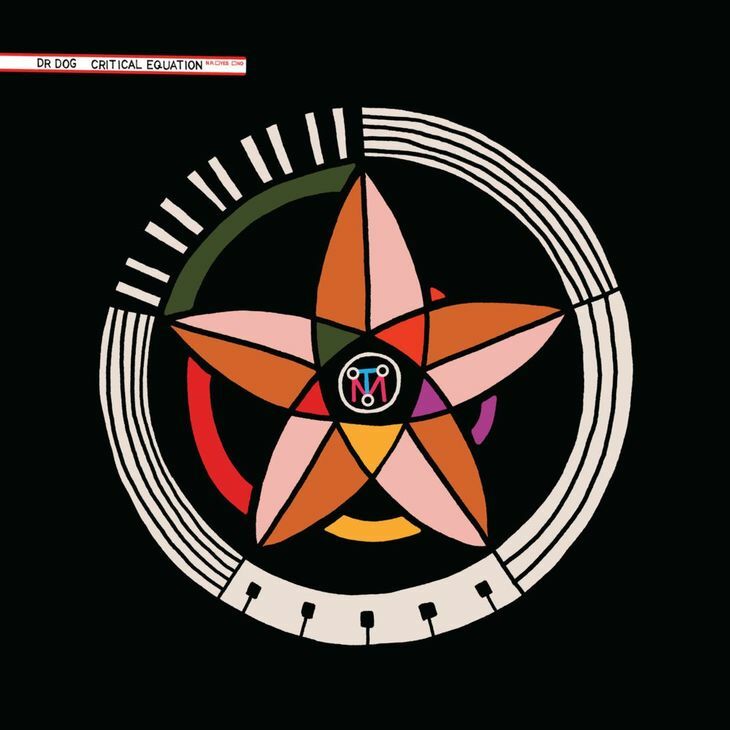 Critical Equation is Dr. Dog’s 10th studio album and features 10 tracks. In a way, Critical Equation continuous what they’ve been doing for quite some time now. That is: playing fleet footed and catchy psychedelica. Yet this time all sounds more polished than before. All the polish and catchiness usually cause for some form of one sidedness, especially when most of the album is lyrically about the generic theme of love and heartbreak. Strangely enough this doesn’t happen. A wonderful breezy atmosphere is found on almost all tracks on the album. The first track probably is the best example of this atmosphere. ‘Listening In’ feels like fresh and simple vintage country rock like we know from the Belgium rockers Balthazar or the Dutch band Alamo Race Track. It’s one of those rare songs that gets your head nodding within 15 seconds. Songs like ‘True Love’ or ‘Go Out Fighting’ sound carefree with a organ in the background that comes forward a just the right moments. The retro pop rock is heard best on ‘Buzzing With Light’. It’s hazy and tranquil and should have been a part of ‘The Big Lebowski’ soundtrack if it wasn’t 20 years too late. Also ‘Heart Killer’ is a flawless, groove heavy alternative rock anthem that reminds me of Wilco’s Star Wars album. On the fourth quarter Leaman seems to dream away under and endless night on the ballad ‘Night’ while the sun starts rising again on the Kevin Morby-like ‘Coming Out Of The Darkness Again’. The songs deals with the edge of a depression and recovery. Dr. Dog knows how to come from this gloomy subject to a position in which the sun shines again. Oh let’s not forget ‘Under the Wheels’ on which Dr. Dog also proves that they master the art of blending blues with a sniff of twang. The only true disappointing track comes at the midpoint on Critical Equation. To me the title track is an oversimplified slacker pop track that ends with an intertwined harmonised chorus. This sort of bravoure is out of place and should be left for to the people who specialize is this subgenre. Indeed I’m looking at you again Mac DeMarco. Critical Equation is an album with a lot of diversity on it. The songs have an great potential to play at various occasions like a barbecue party or for a large festival crowd. Toby Leaman and his band are truly in je major leagues of songwriting. The harmonies are fantastic and the the hooks even better. In its core Critical Equation is a continuation of the path Dr. Dog have always walked on and in this case I would say there is nothing wrong with that. This entry was posted in WRM and tagged 2018, Alamo Race Track, alternative rock, Balthazar, blues, Bob Dylan, cd, Critical Equation, Dr. Dog, Kevin Morby, Mac DeMarco, review, slacker pop, Star Wars, The Beach Boys, The Beatles, The Big Lebowski, Thirty Tigers, twang, vintage country rock, Wilco. Bookmark the permalink.